I was listening to Yu Hayami's（早見優）"Heart wa Modoranai" (The Heart Doesn't Return) in the first bit and there was something fairly familiar about it, and then when she sang the refrain, I realized that it was a cover of the Eurobeat "Get Out of My Life". 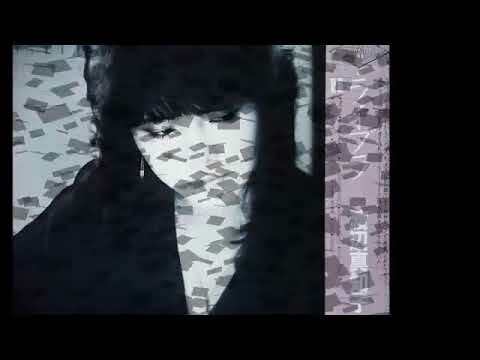 Hayami's cover was released in March 1987 as her 19th single with Hiromi Mori（森浩美）providing the Japanese lyrics. C. Bruhn, E. Bruha and R.W.P. James were the original songwriters. "Heart wa Modoranai" went as high as No. 15 on Oricon, and finished the year as the 68th-ranked single. I used to hear the original "Get Out of My Life" at the discos here in town, but never knew who the singer was. Well, it turns out that it was a singer born in Germany by the name of Lady Lily, although I don't know whether she was still based there when she got this hit.